Cash flow is the engine of any practice and it should be easy for clinicians to obtain reports on any aspect of their practice in a simple, streamlined and efficient manner that doesn’t require contacting the billing department. Those reports are the metrics by which a practitioner can determine profitability and the health of his/her clinic. The most important aspect for clinicians is that billers to do their part in the most efficient manner possible. They may be familiar with particular medical billing software and only choose to use certain programs. That preference doesn’t matter, as long as the software is capable of generating the 10 billing reports needed to track and monitor different practice metrics. The aging report, which shows a summary of all accounts receivable (known as AR) is the primary tool for assessing and analyzing high level practice profitability across multiple metrics. The AR is typically viewed as a way to identify late or non-paying patients, but the right EMR software can provide in-depth data in an extensive variety of areas that affect the viability of a clinic. It doesn’t take long after a clinician opens a practice to discover that all payers don’t reimburse at the same level and those payment rates can change over time, necessitating periodic reviews. Payer reports are essential for a clinic to determine which insurance companies and clearinghouses reimburse at the highest levels and those who are slow to pay / pay less than others. Medicaid pays at an average rate of 56 %. Medicare and other payers determine the rate at which practitioners are reimbursed according to the resource-based relative value scale (RBRVS). Part of the 1989 Omnibus Budget Reconciliation Act, this was created to address disparities in the payment system and a large number of private insurance payers reimburse practitioners at rates that are lower than Medicare. It’s a particularly troubling problem for clinicians as Medicare and Medicaid has reduced reimbursements after passage of the Affordable Healthcare Act, and this may change further with the new administration. Practitioners don’t want to deny care, but many are weighing the pros and cons of accepting Medicare, Medicaid and payments by certain payers. The ability to generate a corresponding report provides clinicians with the essential reimbursement rates by payer, allowing them to work with companies with the highest payments. It always pays to examine the competition and the right EMR billing medical software can provide clinicians with an overview of what other providers are charging for the same services. It’s essential for practitioners to evaluate their fee schedules to make reimbursements a priority, but be wary of radical increases or setting fees at $200 if others in the area are only charging $75. Many practice owners mistakenly believe that setting their fees at the level allowed by payers will ensure payment. They feel that payers will only reimburse at a set level and are happy if they receive that amount. Fees should be established at a higher rate than what providers pay. The difference will be paid by secondary insurers or the patient. Every practice encounters patients that are habitually late on paying their balance or don’t pay until threatened with a collection agency. The ability to generate sophisticated reports to identify those patients is a critical step in increasing revenues. Patient reports can show those who are slow or delinquent on co-pays and outstanding balances. One solution is not to schedule more appointments for the patient until they’ve paid their bill in full. Clinicians aren’t bill collectors and EMR reports provide a way to identify the most desirable patients and those that readily pay their portion of medical costs. Referrals are an essential part of operating a practice, but some referral sources are more valuable than others. 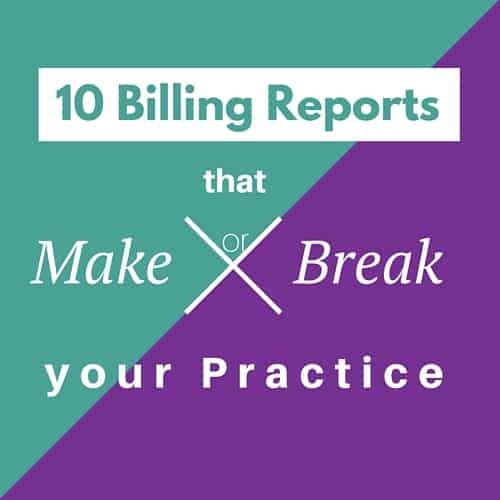 One of the 10 billing reports practitioners need is a comprehensive view of referring physicians. An EMR report should provide clinicians with information on which physicians are providing the greatest number of referrals of patients with the highest paying insurance companies. In practices with multiple providers, there are always individuals who treat more patients and consistently provide higher paying services to individuals. With sophisticated EMR software, practice owners can determine which providers are making the most money for the practice. Practices with multiple locations often have widely varying revenues that can be related directly back to where patients are originating. Reports provide practice owners with patient demographics to ascertain variables that include location. Business owners can focus marketing efforts on areas that are being underserved and populations most likely to require their services. ICD-10 codes can be used to more precisely document each diagnosis for increased revenues. A comprehensive EMR provides key data about which ICD-10 codes make the most money for the practice. Clinic owners can use that data for marketing to patients most in need of services that can be justified through the ICD codes and an EMR should be able to link ICD-10 codes with CPT codes. Reports will reflect which diagnosis codes generate the most income. CPT codes can be exhibited through reports to show which services achieve the highest level of compensation. It’s valuable information that provides insights for marketing. 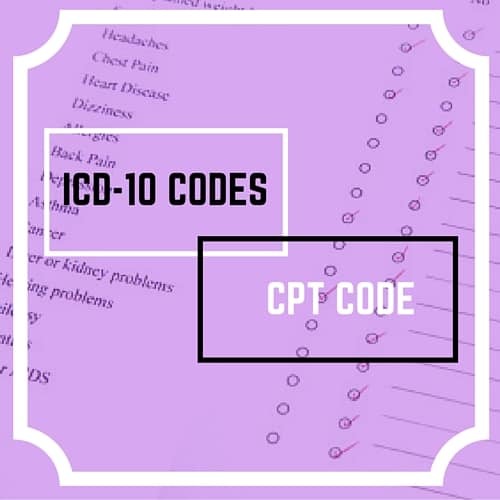 CPT codes can be used effectively with multiple ICD-10 codes to more accurately reflect the full extent of the services provided. The data can be especially important for treating patients with chronic conditions, providing value-based care, and marketing to specified populations. As patients become responsible for a greater financial portion of their healthcare, clinics must make every effort to collect co-pays at the time of the patient’s appointment and achieve a quick turnaround on their balances. Clinicians should have software that can generate reports on patients who pay their co-pays, those with outstanding balances of long duration, and those who are chronically late paying their bills. The ideal for any practice is a steady stream of patients each day without cancellations or blank appointments. The clinic’s EMR should have the functionality to produce a report that identifies the most productive times of the day, the times and days of the week that cancellations are most likely to occur, and even which individual within the practice is experiencing the highest level of unproductive down time. Errors remain a common problem for many practices with NCCI edits for Medicare topping the list. Problems depriving clinics of revenues range from misspellings, erroneous entries and coding difficulties to improper use of modifiers, demographic data and incorrect referral and preauthorization information. Sophisticated software such as In Touch EMR™ can be customizable and provides an integrated solution that can generate the 10 most critical reports required for a practice’s financial well-being. The reports are highly detailed, yet displayed in simple and easy to understand formats. The software can check insurance eligibility online when appointments are made, post ERAs, and bill secondary insurance sources. The EMR scrubs claims before they’re submitted and provides automatic alerts if it detects a potential problem that would affect acceptance and reimbursement. In Touch EMR™ reduces errors and has one of the highest levels of successful reimbursements in the field. It offers an integrated scheduling, documentation, billing and marketing software solution fully capable of generating the 10 types of reports that make or break a practice.